When things happen in my own personal experience, it sets a fertile environment for me to start thinking. I have a habit of analyzing everything, probably a result of working in the field of quality improvement for many years. I believe that everything has the potential to be better, and even if we think something is perfect, there are still opportunities for improvement. Here’s a situation that I experienced last week. I’ve been thinking about how to put my thoughts into words since then. A few days ago I had the experience of going to court for the sentencing of a criminal case. I had never been to the courts before, and I was truly saddened by the experience. The whole courthouse scene was one of despair, from the line of people waiting to get through security, to the stressed out faces attending the many proceedings. As you may know, I am part of the motorcycle community, recently appointed as a board member of a motorcycle safety, education and advocacy group. I truly believe in the power of the people, and not only went to support an injured motorcyclist and his family, but to be a visible reminder of the need to protect motorcyclists from irresponsible motorists. In this particular case there was a woman who critically injured a man riding his motorcycle to work. She had been in and out of jail most of her adult life and an addict since she was 12 years old. In our book, “If I Knew Then What I Know Now” (www.IfIKnewThenBook.com), I discussed the adoption of self-destructive behavior to hide from pain in our lives. There are many types of self-destructive behavior aside from alcohol or substance abuse, including eating disorders, over shopping, self-harm, or even “proving” you are good enough, the one I am most familiar with. Chapter 2 in our book is entitled “We Are All Tortured Souls”, where this was discussed a little more. From the limited information provided at the sentencing, it was alluded to that she had started using drugs to hide her emotional pain from her father’s physical abuse. Now, at 27 years old, having been out of jail 3 days prior to the accident, she chose to drive a motor vehicle while under the influence of drugs. In a matter of minutes she changed lives forever, causing irreversible pain and suffering to a lovely man who had been down the block from his destination at the time of the accident, as well as significant financial hardship to his family. Further, she left the courthouse on her way back to jail, this time for a matter of years. In this situation, and so many others in our lives, the choices we make create an end result where nobody wins. How many situations do you hear about that cause people unnecessary pain or hardships? Unfortunately, watching the news, we hear daily of people who makes the choice to lie, cheat or injure another in some manner by making a wrong choice. Something I have learned is that we truly know right from wrong, perhaps even if this knowledge is deep down inside. Perhaps we chose our behavior stemmed from anger or fear. No matter what, when we make the wrong choice, we sometimes cannot take back the outcome resulting from the action we chose to complete. But, instead of actions to rid our society from these social ills, we have new laws and legislation to protect people from a potential injury or hardship — even though there is a root cause for everything. Apparently just creating new laws against “wrong doings” is not working. We can look at legislation for illegal hand guns, texting / drunk driving, illegal drugs, and more… the stuff keeps happening. We also continue to hear stories of people taking financial advantage of others, even politicians that do so. Again, we all know right from wrong. 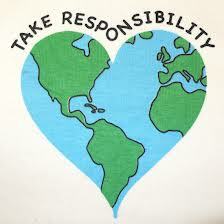 Perhaps it is time to take responsibility and make good choices. Simple things like not drinking and driving or texting and driving. Things that we hear about and just continue to do anyway, it seems. Perhaps we need to consider the feelings of others and make better choices before there are irreversible ramifications of our actions. Something else I had written about in the book was waiting for “them” to fix things that are problems. Guess what — there is no “them”. There is “us”. Change will result when WE start working together to make things change. People Helping People. Collaboration = Success. It’s Time to Enjoy Life. A VACATION FOR EVERY PERSONALITY. . .
2015 – Whatcha Gonna Do With It?